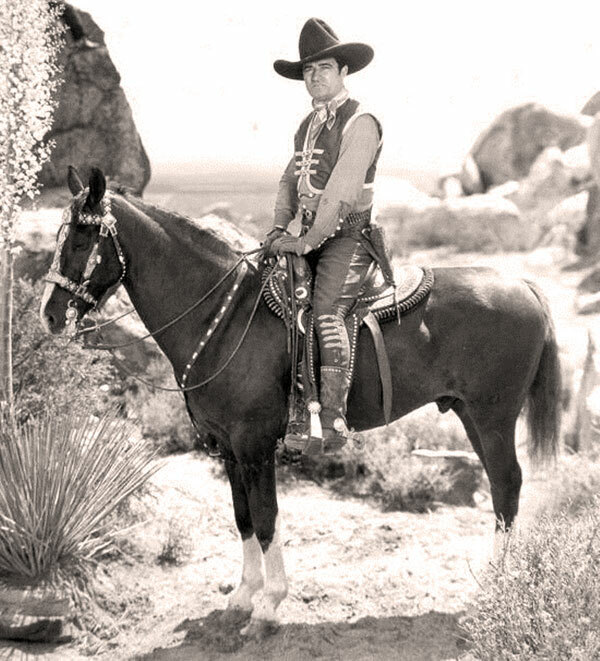 The 1920’s was the golden age of heroes that included, Babe Ruth, Lou Gehrig, Red Grange, Gertrude Erdle and Charles Lindbergh but the most famous of them all was Tom Mix. Mix was Hollywood’s first super star, the ideal hero for the “Roaring Twenties.” Post-World War I audiences wanted to forget world problems and escape into fantasy. His movies were pure frolic and delight. In reality they were more about rodeo-costume flamboyance and Wild West Show acrobatics. He was the man in the white hat who rode into town and battled the bad guys. They were loaded with fist fights, slapstick stunts and pretty ladies. To the relief of his many adolescent fans, he seldom rode off into the sunset with any of them. He reserved those conquests for real life. By the early 1920’s he was Hollywood’s highest-paid star, making $17,500 a week. Mix also led in the silver screen cowboys in marriages too. He was married five times. There wouldn’t have been a fifth had his fourth been a better marksman. She caught him messing around with another woman and took a shot at him but missed. Amazingly, he was in his 40’s when he performed the stunts that made him famous. It was said very bone in his body had broken at one time or another. An advertisement showing Tom’s wounds sustained while rounding up the bad guys claimed he was blown up once, shot twelve times, was injured doing stunts forty-seven times and his body had sustained twenty-two knife wounds. After an enlistment in the Army Mix gave himself an extended furlough. 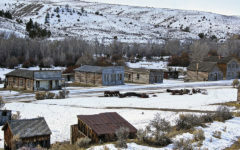 In 1902 he was working at a variety of jobs in the Indian Territory. He had a couple of brief marriages during those years and by 1909 he was on his third one. Around 1912, while working as a bartender in Guthrie, Oklahoma he hired out for the Miller Brothers famous 101 Ranch. It was his first ranch job and soon he was performing as a trick rider in their Wild West show. 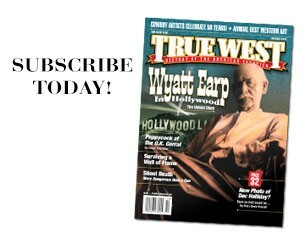 It wasn’t long before Hollywood beckoned and before long he was starring in westerns. In 1917 Mix hired out for Fox Studios for $350 a week and by the 1920s he was making $17,500 a week. It was said he spent eighteen thousand a week having a good time. He eventually made nearly three hundred silent films and nine talkies. His trusty steed, Tony, leaped steep canyons, swam raging rivers, galloped through fire, walked over to a table, picked up Mix’s six shooter and brought it to him. Tony, like his rider had lots of flirtation on the screen with comely colts. When Tony was almost badly injured during an action scene Mix insisted his horse have a double. It was the only time in movie history the actor did his own stunts but his horse got a double. An overeager agent embellished his biography claiming he was a Texas Ranger; had fought in the Boxer Rebellion in China; the Boer War in South Africa; the Spanish-American War in Cuba; was a U.S. 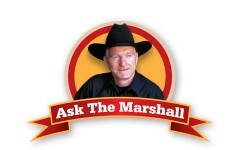 Marshal; and rode with Pancho Villa in Mexico. Actually, he was none of the above. He didn’t care for “Talkies” believing they would be the bane of the action films. Contrary to the myth, his voice was fine for them. His hard living just caught up with him. By 1940, he was sixty years old. Mix was killed on October 12th, 1940 when his 1937 yellow Cord Phaeton convertible wrecked near Florence, Arizona. Too late he saw barricades on a bridge detour. He swung into a wash, jolting the car, causing an aluminum suitcase to fly up from the back seat, breaking his neck. He got out, took one step and dropped dead. Tony died two years later. 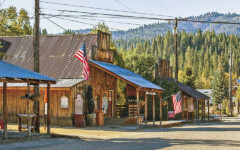 Raised from the Dead One historian knows how to give ghost towns a new life.